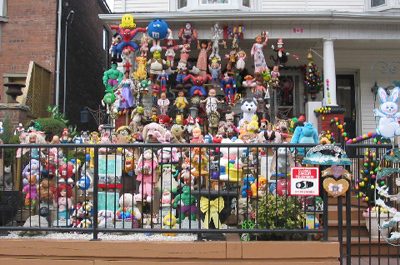 Is this the weirdest front lawn you have ever seen? I found this the other day in the east end of Toronto while looking for a bike shop….So I’m already thinking about Teddy Bears, which ties into my next thought, a band from Vancouver called Castle Project. They had this cool video for Airways where a drug dealer was selling stuffed animals to kids. I can’t seem to find that video online anymore, but I’ve seen a new video by this artist called ‘Apologies’. Make sure you stick around until the end of the song for an awesome trip-hop style outro.